"Sean Woodward – Tackwood Vehicle Servicing & MOT Centre, Eaton Socon We have been using On-Site Tyres to supply tyres to our customers for the last 8 years. We are a busy garage and we needed to work with a tyre company that could be responsive to our daily requirements in a timely manner. 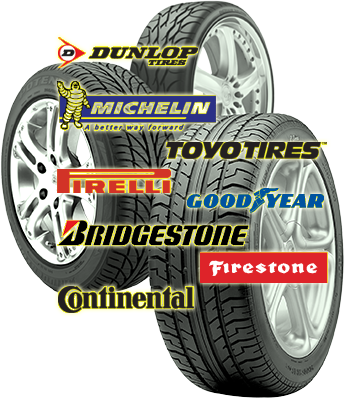 With On-Site Tyres we know that we can be sure they will be prompt with their service and competitive with their pricing. Their approach to customer service is the same as ours – if you keep the customer satisfied they will always return. This is important for independent businesses such as ourselves and On-Site Tyres. We have no hesitation in recommending their services. Loraine Harris – St Neots I do not wish to waste my Saturday by having to take my car to a tyre depot and wait while they replace my tyres. Thankfully, On-Site Tyres come to my house, or to my place of work, and change my tyres as required. I expected to have to pay more for this service but in actual fact it has proved to be both the best prices quoted and the best service. I am happy to recommend On-Site Tyres to my friends. Tel: (Car) 07836 512879 (Truck & Aggricultural) 07860 267956.